She works out her arm with a rope. Too easy at first so I ask her to grab it shorter so the arm muscle works harder. 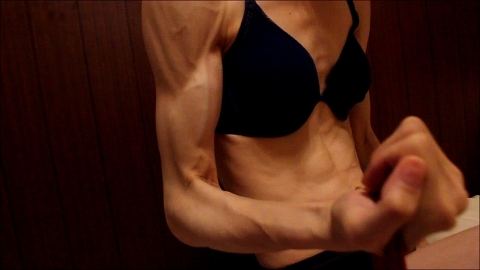 The result shows how strong and hard her arms are.